Current pharmacological treatments for major depressive disorder (MDD) are severely compromised by both slow action and limited efficacy. RNAi strategies have been used to evoke antidepressant-like effects faster than classical drugs. Using small interfering RNA (siRNA), we herein show that TASK3 potassium channel knockdown in monoamine neurons induces antidepressant-like responses in mice. TASK3-siRNAs were conjugated to cell-specific ligands, sertraline (Ser) or reboxetine (Reb), to promote their selective accumulation in serotonin (5-HT) and norepinephrine (NE) neurons, respectively, after intranasal delivery. Following neuronal internalization of conjugated TASK3-siRNAs, reduced TASK3 mRNA and protein levels were found in the brainstem 5-HT and NE cell groups. 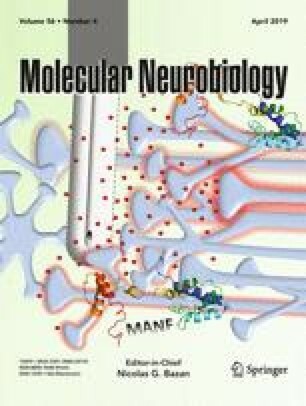 Moreover, Ser-TASK3-siRNA induced robust antidepressant-like behaviors, enhanced the hippocampal plasticity, and potentiated the fluoxetine-induced increase on extracellular 5-HT. Similar responses, yet of lower magnitude, were detected for Reb-TASK3-siRNA. These findings provide substantial support for TASK3 as a potential target, and RNAi-based strategies as a novel therapeutic approach to treat MDD. M. Neus Fullana and Albert Ferrés-Coy contributed equally to this work. The online version of this article ( https://doi.org/10.1007/s12035-018-1288-1) contains supplementary material, which is available to authorized users. We thank María Calvo, Elisenda Coll, and Anna Bosch for outstanding technical support in the confocal microscopy unit (CCiT-UB); and Mireia Galofré and Letizia Campa for their outstanding technical assistance. We also thank J Pablo Salvador and Núria Pascual for the TASK3 antibody production and purification (Institut de Quimica Avançada de Catalunya, CSIC; Parc Cientific de Barcelona, UB; and CIBER in Bioengineering, Biomaterials, and Nanomedicine), and to Nlife Therapeutics S.L. for advice on the design of conjugated siRNA molecules. This work was supported by the following grants: SAF2015-68346-P (F.A. ); SAF2013-48586-R (J.M. ); SAF2016-75797-R (A.B. ); Retos-Colaboración Subprograms RTC-2014-2812-1 and RTC-2015-3309-1 (A.B. ); Ministry of Economy and Competitiveness (MINECO)—European Regional Development Fund (ERDF), UE; PI13/01390, Instituto de Salud Carlos III co-financed by ERDF (A.B. ); IT616-13 Basque Government—ERDF (J.M. ); 20003 NARSAD Independent Investigator (A.B. ); and Centro de Investigación Biomédica en Red de Salud Mental (CIBERSAM). CERCA Programme/Generalitat de Catalunya is also acknowledged. M.N.F. and A.F-C. are recipients of a fellowship from the Spanish Ministry of Education, Culture and Sport. F.A. has received consulting honoraria on antidepressant drugs from Lundbeck and he has been PI of grants from Lundbeck. A.B. has been PI of grants from Nlife Therapeutics. S.L., F.A., and A.B. are coauthors of the patent WO/2011/131693 for the siRNA and ASO (antisense oligonucleotides) molecules and the targeting approach related to this work. The rest of authors declare no competing financial interest.